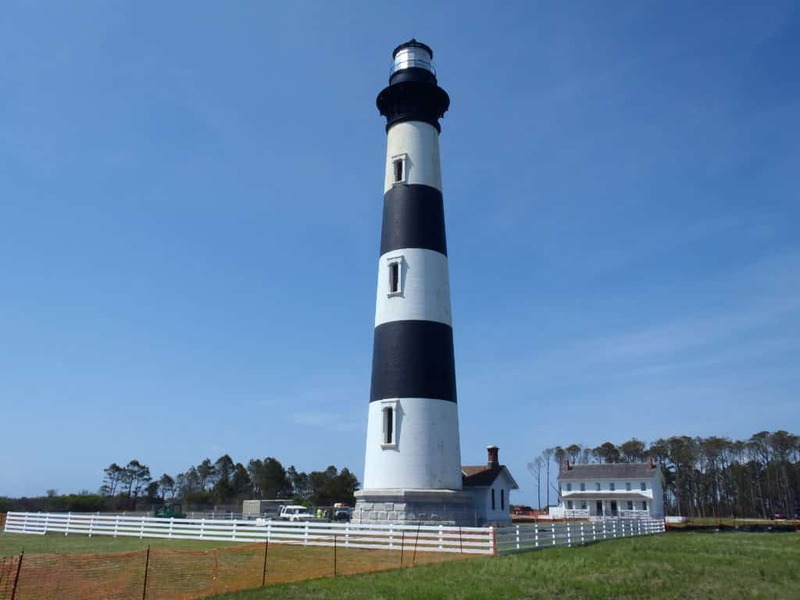 Climb the Bodie Island Lighthouse in the Outer Banks, NC! It’s that time of year again! The kids are wrapping up their school year and the sun is finally starting to peak through the clouds for more than just a moment. Summer is nearly upon us and the Outer Banks are full of fun and exciting things to do all summer long! You’ll surely want to visit our picturesque beaches or maybe even spend the day shopping next to the coast, but be sure to make time to visit and climb Bodie Island Lighthouse! Just across the Roanoke Sound from the White Doe Inn, stands the black and white striped tower known as the Bodie Island Lighthouse. The lighthouse, along with others that can be found along the shores of the Outer Banks, is proof that the area provided quite a challenge for early sailors. What we know as the Bodie Island Lighthouse today is actually the third of a short series of lighthouses built to mark Oregon Inlet and warn ships of the dangers around them. Standing 156 feet tall and completed in 1872, the lighthouse’s beam can be seen up to 19 miles offshore. The National Park Service now operates the lighthouse and visitors are welcome to come explore the island and climb all the way to the top of this historic building! Climb at your own pace – Arriving at the top of the lighthouse and taking in the beautiful natural surroundings is worth the climb, but be sure to take your time getting there. With over 200 steps (the equivalent to a 10 story building! ), your journey to the top may be a bit strenuous so be sure to rest along the way. As the tour is self-guided, you can take as much or as little time as you please! Dress for the occasion – Tennis shoes are a must. The Bodie Island Lighthouse prohibits bare feet and heels over 1 1/2” high and you want to be comfy on your hike to the top! The lighthouse has no heat or air conditioning either so be sure to dress accordingly! Time your visit well – Tickets cannot be purchased in advance and are only available on a first come first serve basis. Tours begin at 9am and depart every 20 minutes with the last tour leaving at 4:30pm. Don’t forget to explore the island – A wooden walkway leads to the marsh and out to a dock where you can gaze upon the glimmering waters. You can also visit the house of the lighthouse’s former keepers to learn a bit more about the lighthouse and its history. 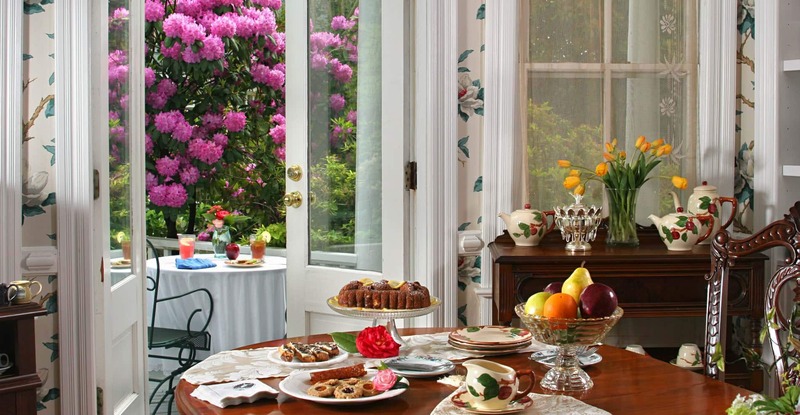 Make your reservations at the White Doe Inn today so that you too can conquer the heights of the Bodie Island Lighthouse! You won’t want to miss your chance to take in the breathtaking views of the Cape Hatteras National Seashore and the waters beyond when you make it to the top. You also won’t want to miss the chance to rest your tired feet as you lay on one of our luxurious beds or ease your weary muscles as you soak in one of our relaxing tubs once you’ve returned from your outing. The White Doe Inn is the perfect place to retire to after an exciting day of climbing and site seeing! This entry was posted in Things to Do, Uncategorized by admin. Bookmark the permalink.